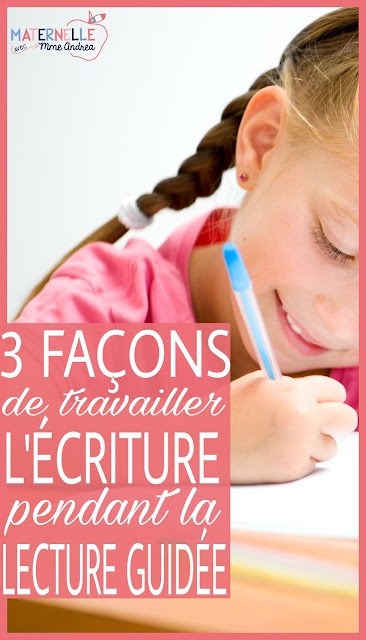 Have you ever noticed how our struggling readers are often struggling writers, too? And if a student has a hard time decoding words, they also have a hard time hearing and recording the sounds they want to write? Reading and writing are so intertwined, and it is our job to help our struggling writers figure out how to get their thoughts, ideas, and stories down on paper, and offer support and practice as often as possible. But, there are only so many hours in the day! And this can be a huge challenge when you are teaching upwards of 20 students. There is also a big push for guided reading and guided math at the moment (and obviously those two subjects are extremely important!). If you are already spending a huge chunk of your day teaching in small groups and finding ways to keep the rest of your students academically occupied, when are you supposed to find time for writing groups, too? I do it in two ways - writing conferences and by sneaking in guided writing practice as often as humanly possible. 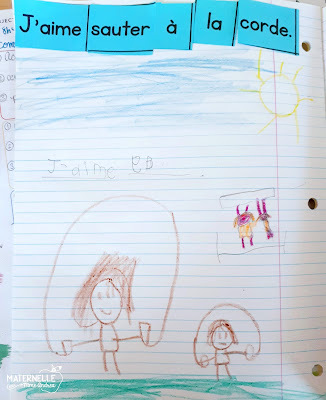 I will share more about how I run writing conferences in a future blog post, but for today, I would like to share with you three ways that I sneak in writing practice DURING guided reading. I find this to be super efficient and effective, because I already have my groups and my routine all set up! And, since reading and writing fit so well together, it just makes sense to practice them at the same time! We do whole-group sight word lessons and my students practice sight words in groups of 10 at home (you can read more about that HERE), but I also do sight word practice during guided reading. It takes about 2 minutes, but works really well for us! I choose a sight word to learn or review from the book that we are going to read. I spell the words out using magnetic letters on a white board for each student, and we talk about how the word looks and the order of the letters together. Then, I mix the words up and have students put them back together correctly. We do that 2-3 times, and then I get them to close their eyes and I take one letter away. After they tell me which letter(s) I took, I give them back and they write the word using a white board marker. The first time, they can look at the word, but then I put the letters away and get them to rewrite it a few times from memory. For your strong groups, or if you have time, you can also get them to write a sentence using the word on their white board. 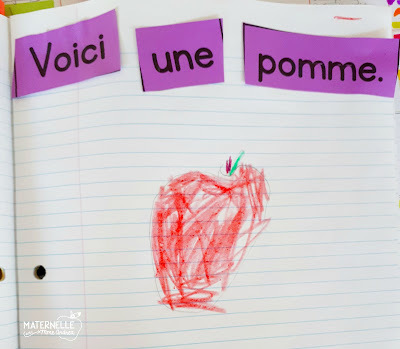 Sight words should be encouraged to be written from memory, and new words can be written based on the sounds they hear and are able to record independently. You can also ask them to write previous words that you have practiced together from memory. Once your students know the routine, this takes two minutes or less, but is a great way to teach your students how to write a variety of sight words from memory! Our students don't always notice sentence features (punctuation, capital letters, etc.) on their own. It is important that they start to understand that a sentence begins with a capital letter, the rest of the words are written in lowercase, there are spaces between each word, and every sentence ends with a punctuation mark. Once our students understand that all sentences work like this, they will be better able to transfer that knowledge into their own writing. For my level 2 and below groups, I always use mixed-up sentences in our guided reading scribblers to investigate and practice sentence features (this is also great sight word reading/identifying practice!). My lowest groups I meet with more frequently than my high fliers, so we practice each book on a two day cycle. The first day, we read the book and I choose a sentence from the book. I usually have them typed up in advance (more about that in a minute! ), and keep them in my guided reading binder. For my level AA and level A students, I use the books from my TPT store and have everything set up in advance. Then, I just cut them out for each student while they are finding the next blank page in their scribbler. At this level, I tell my students the sentence they need to build, and get them to place the words in the right order. Once I check that they are correct, I put a strip of glue on their page and they glue the words down. I get them to read the sentence again, and then illustrate it. Another option is to get your students to dictate a student from the book, and you can write it on post it notes right on the spot. This is usually what I do if I have some students absent in my group, because it can take a long time to write out four sentences. That's what I did yesterday - I had two students absent from our group, but I still wanted to meet with them. I wanted to save the level A book I had planned to do for when everyone was present, so we read the book "L'épicerie" instead. In the story, a monster takes everything from the grocery store. I got each student to name something that the monster ate, and then wrote the sentence on sticky notes, mixed them up, and they stuck their own sentences in their scribbler in the correct order. The second day, we re-read our book and go back to the same page in our scribblers. Then, I get them to complete the sentence prompt on their own with something else that makes sense. Since we do it on the same page and there is a model for the sight words, I expect them to copy them correctly. For the new word, I expect them to try and write the sounds they hear. It is much less scary for my struggling writers to only need to sound out one word, and is much more manageable for me, too! Sometimes it can take a LOT of encouragement for our students to begin taking risks, but it is SO important that they do! 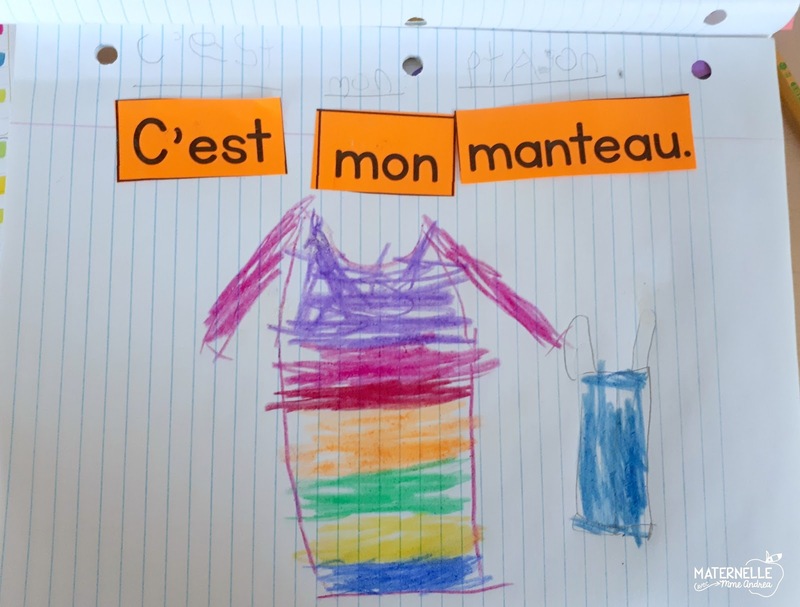 It's really hard to read, but above the orange sentence it says "C'est mon pantalon." You do NOT want your students asking you how to spell every single word - this is a great time for you to encourage them to try all on their own, congratulate them, and offer support. Since your group is small, no one will "fall through the cracks" and it's easy to make sure everyone has tried! I also always make sure to tell my students "today and every day when you write, you should stretch out your words and write the sounds you hear JUST LIKE THAT!" 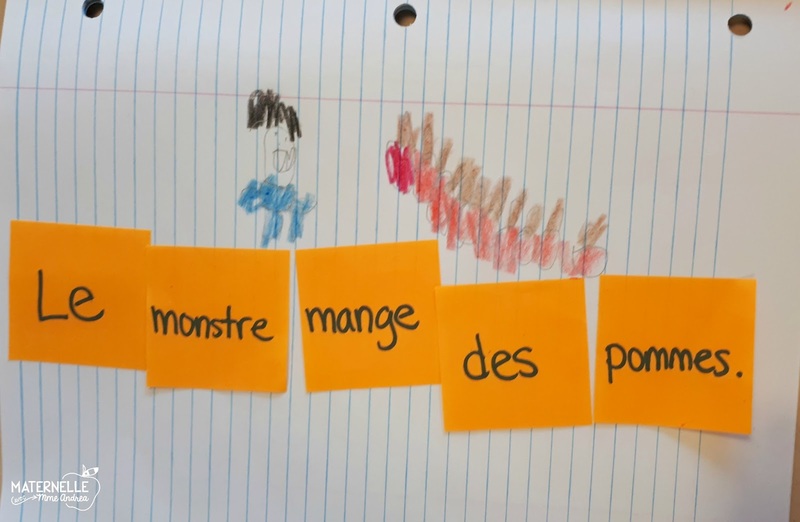 If you own my guided reading books from my TPT store (Niveau AA and/or Niveau A), I have added a FREEBIE to the Free Resource Library - all of the mixed up sentences already typed up for you! There are eight to a page - I just print them out and keep them in my guided reading binder so they are all ready to go. If you aren't yet a member of my free resource library, you can become one by entering your info and clicking the pink button below. When you sign up, I will email you the password to get in. You will also become a subscriber to my newsletter (which I try to send every two weeks, but sometimes is less often and occasionally more often). Once my students move up to level 3 and beyond, I see them less often. I find it more manageable to do guided reading with groups of two students at these levels, so I have more groups... plus they are already where they need to be, so I try and see my below level students more to help them catch up. This means that we don't have time to do the same book two days in a row, so we need to read and write on the same day. With these groups, I no longer do the cut up sentences - we jump straight to writing after reading our new book! 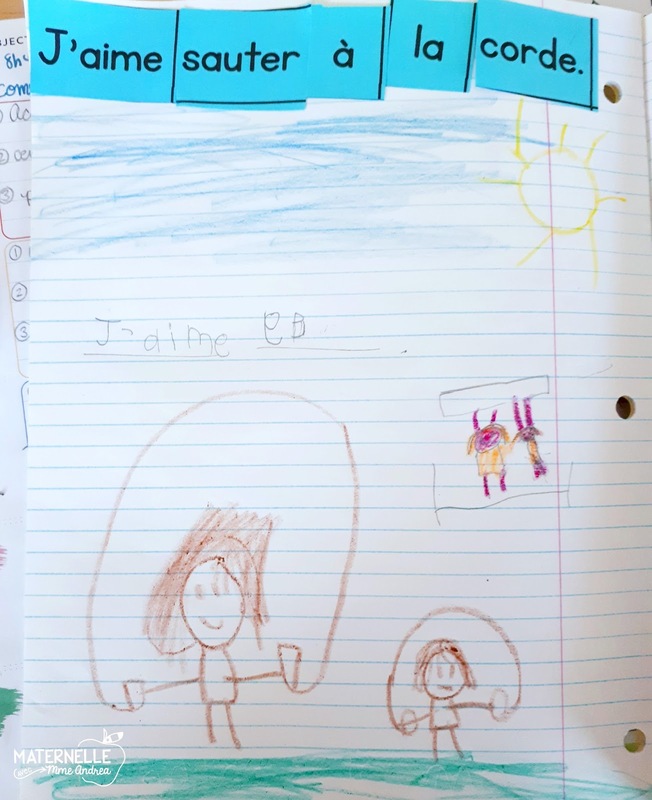 After we do our sight word work, picture walk, and first read, I get my students to write and illustrate their favourite part of the story (or something they learned, if it is a non-fiction book). They say their sentence out loud, and I make lines on the page for them to write each word on, until they demonstrate to me (during other writing activities throughout the day) that they understand spacing and can do it on their own. Often, they will make their own lines if I don't get there fast enough, ha! Then, they illustrate their sentence. Their books are available to them if they need to look up sight words, but I encourage them to write the sounds they hear in words that aren't sight words. They can check them in the book to make sure if they need to. At this point, my students know the routine so well that they get started in their scribbler on their own. 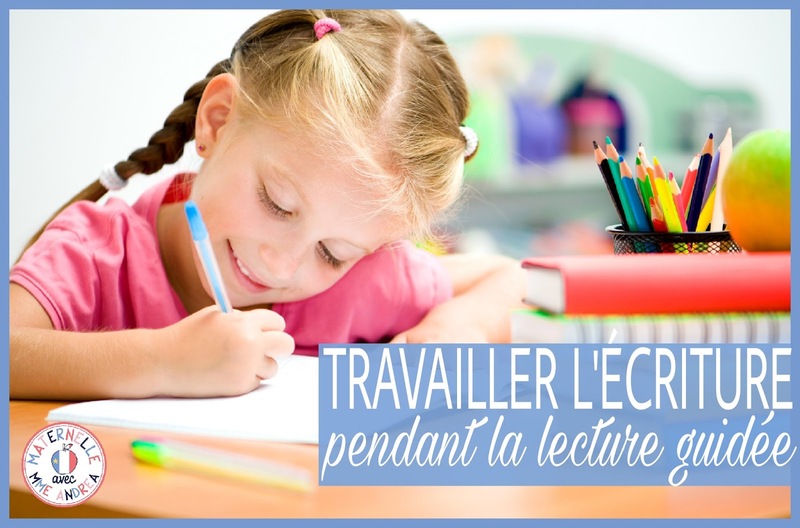 This is wonderful if I am doing a fiche de lecture, if someone finishes their book faster, or if I am giving someone and extra hand. No wasted time! I keep everything I need for guided writing in my guided reading toolkit. I will write another post about what that looks like soon - I have finally found the perfect set up for me! Let me know in the comments if you have any other sneaky ways to add writing to your guided reading time!